This page is under construction. Please visit us again soon. 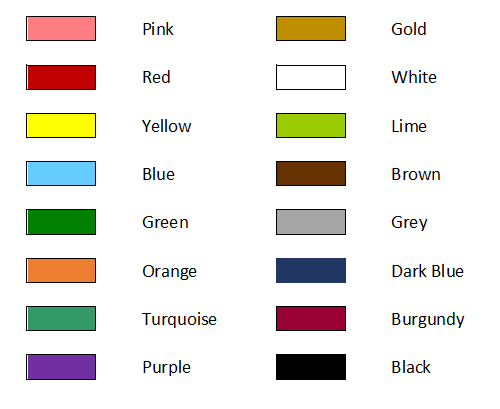 Below are the colour reading levels that we use to track pupil progress. Pupils work through the levels at their own pace from Pink to Black and are regularly benchmarked to assess both reading ability and comprehension. Once they have completed all the levels, they are considered to be free readers. Every pupil will have access to reading books for use at home. Try to hear your child read as often as possible – 5 to 10 minutes each time would be ideal. If appropriate, talk about the pictures and story and ask your child to tell you what he/she has been reading about and to predict what might happen next. Let your child try to work out an unknown word but don’t let them struggle – reading should be enjoyable. If your child is a fluent reader, encourage them to read independently in a quiet place but do ask them questions and discuss the book with them. Encourage your child to read as many different kinds of text as possible, including newspapers, magazines, comics, leaflets, road signs, letters etc. Use your child’s planner to record your child’s reading at home and leave a positive and encouraging comment. Keep it with their reading book and make sure both are brought to school each day. A series of information and tutorial videos explaining the basics of Read Write Inc. Phonics. If your child is learning to read with our programme, these videos will help you support them at home. Libraries are far more dynamic than they used to be. Visit Retford Library at 16 Churchgate, Retford and discover what it has to offer. There are 250 free eBooks for you to share with your child as well as simple ideas, top tips, activities and games to help your child with their reading at home.